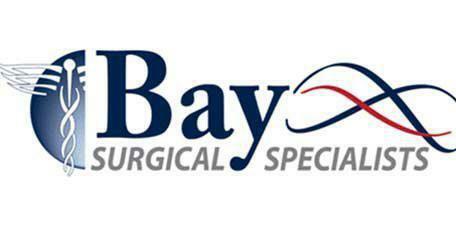 Dr. Collins, Dr. Huguet, and Dr. St. Julien provide surgical oncology services to patients who are fighting cancer from the Tampa Bay area at Bay Surgical Specialists, located in St. Petersburg and Pasadena, FL. Surgical oncology diagnoses and treats cancer through surgical procedures. Some surgical procedures are used to test for cancer and aid in full diagnoses. A patient’s candidacy for surgery is determined by factors like type, size, location, grade and stage of tumor as well as his or her overall health, age and fitness. Before surgery can be ordered, diagnostic and staging studies will be completed to confirm if the cancer is removable. The goal of the surgeon is to remove the cancerous tissue as thoroughly as possible. If some forms of cancer are caught in early enough stages, surgical removal can be sufficient to remove all of the cancerous tissue. When is surgery used to treat cancer? The surgeon will determine if surgery is the best treatment for cancer. The decision is based on the kind of cancer, its stage and position and the patients’ general health. In some cases, surgery may be the only treatment needed and in others, chemotherapy or radiation may be used to follow up surgery in case any cancerous cells were not removed. Advanced stage cancer, or disease which has spread throughout the body may not be best treated with surgery. Also surgery is not known to be effective on cancers of the blood system like leukemia or those of the lymphatic system. If the cancer is localized, for example if there is a specific tumor in a breast and it has not spread to other body parts or the lymph nodes, surgery could be an effect method to remove the cancer. Can surgery be combined with other cancer treatments? Surgery is often performed with the expectation of follow up chemotherapy or radiation treatments. In some situations, a surgery may be performed to allow additional treatments to be conducted for example, a surgeon may place a central line into a patient’s chest to make chemotherapy sessions easier. Or surgery may allow for a radiofrequency ablation which burns out abnormal cells from the top layer of an organ or for cryotherapy, where abnormal cells are frozen and removed.